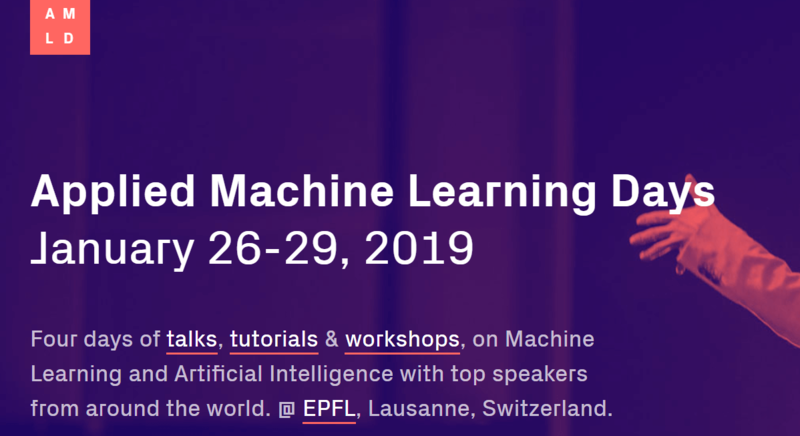 As part of the Applied Machine Learning Days (AMLD) review, organized by EPFL, École Polytechnique Fédérale de Lausanne, and professors Marcel Salathé, Martin Jaggi and Bob West, which will take place in Lausanne from the 26th to the 29th of January 2019, it will be held a workshop entirely dedicated to linguistic technologies: Applied Language Technologies. The main theme of the workshop, conceived by Kornelia Papp, Cognitive Data Scientist at Swiss Re, will be the Natural Language Processing (NLP) and, specifically, use cases and concrete applications based on the elaboration of natural language, such as text classification and emotion detection, in the insurance, banking and pharmaceutical sectors. Pamela Negosanti, Global VP of Insurance at Expert System, will participate as speaker at the event, presenting an intervention titled “The new digital customer experience” (Saturday, January 26, at 2 pm), dedicated to the advantages of artificial intelligence based on language processing and linguistic comprehension, which is able to simplify the access to information and add intelligence to customer services. Particular attention will be paid to customer interaction and to the need of online engagement’s improvement by financial organizations in order to meet the expectations of a digitally sophisticated and accountable public. The relationship with customer and the user experience increase in value when language is at the heart of the interaction analysis. Indeed, using bank’s own language and understanding customer requests, regardless how they are expressed, is a sign of gentleness and empathy.